This was written by admin. Posted on 土曜日, 1月 18, 2014, at 6:00 PM. Filed under News, Sale. 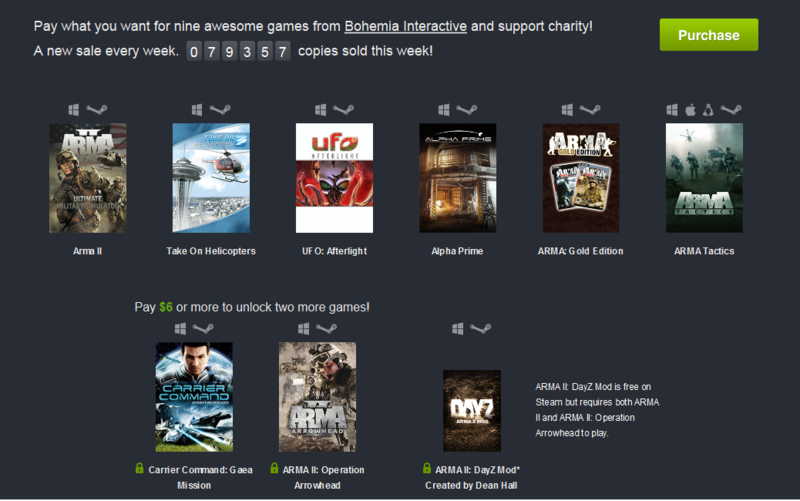 Tagged Arma, Arma 2, ARMA II: Operation Arrowhead, ARMA: Gold Edition, DayZ, Humble, sale. Bookmark the permalink. Follow comments here with the RSS feed. Post a comment or leave a trackback.